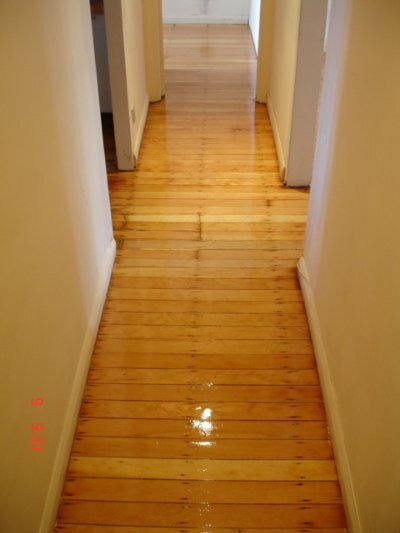 These are just a few of the floors we have sanded in the past eighteen years. This gallery is regularly updated and added to. All photographs on this page are taken by us. 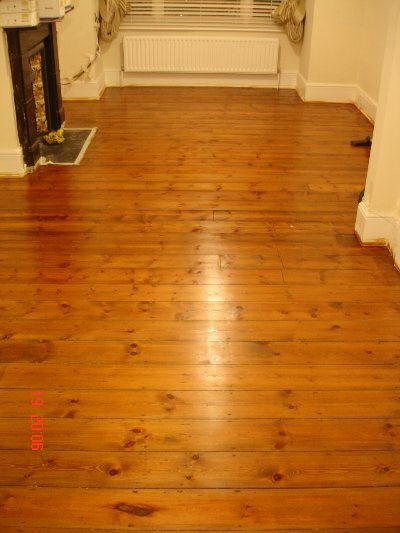 If you see any of these images on another floor sanding site or in a magazine please let us know. 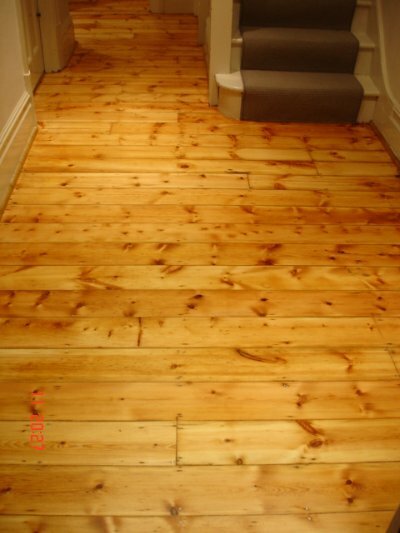 Original pine floor was sanded, stained and finished with 2 coats of Osmo Polix Oil - Rapid. 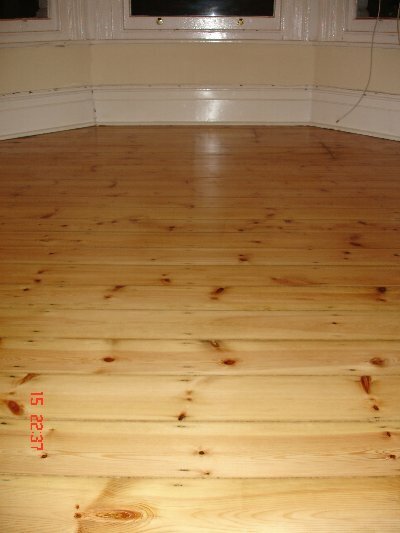 Pine wood floor was restored by sanding, gap filling and varnishing with clear satin finish-water-based. 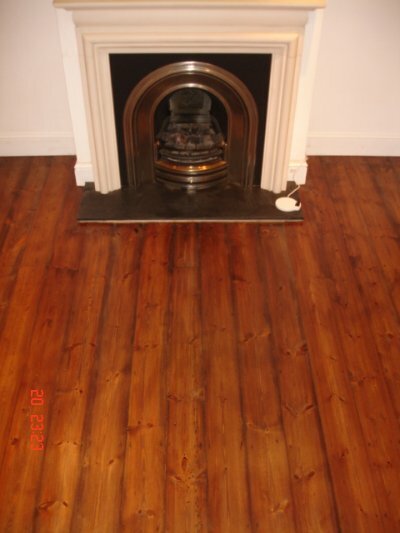 Original pine floor 1880, was sanded,stained with antique pine colour and sealed with 3 coats of Satin Finish. 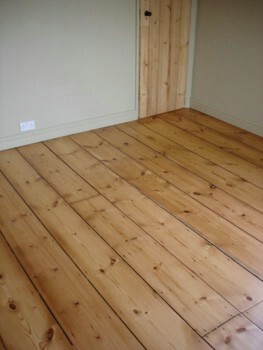 Pine floor was restored to former glory by sanding, gap filling and varnishing with clear satin finish. 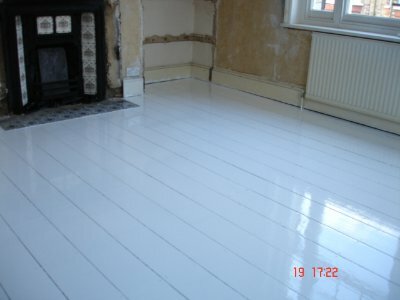 Oak floor was sanded and finished with 3 coats white oil. New American walnut floor was sanded, buffed and polished with 3 coats of Bona Carls Oil 45. 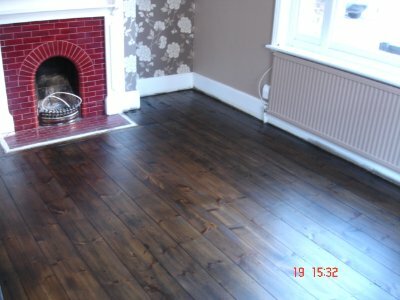 Finished in Dark Oak , this original pine wood floor was sanded,stained and sealed with 2 coats of Osmo Polix Oil Satin. 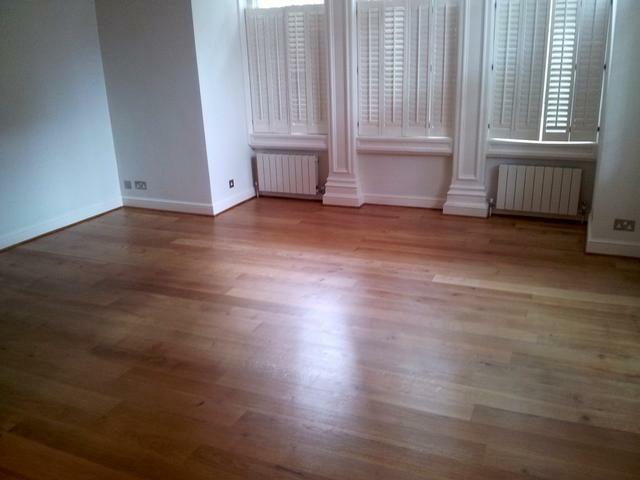 Oak wood floor was restored to former glory by sanding, gap filling and varnishing with clear satin finish. 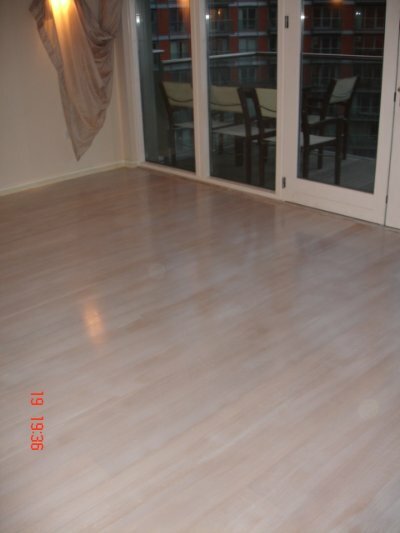 Pine floor finishing project: Fine Sanding, Mid Oak Stain and Sealing with 3 coats of Clear Satin Lacquer. 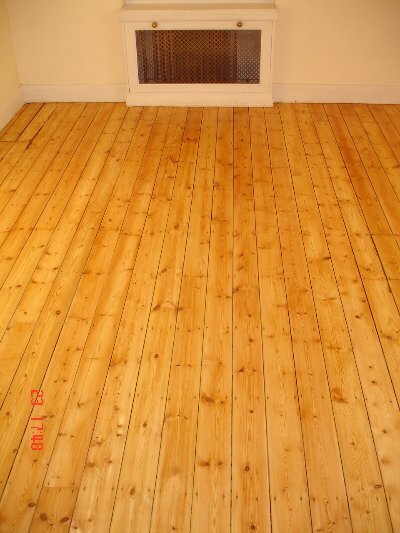 Pine Floor Sanding and Finishing Project. 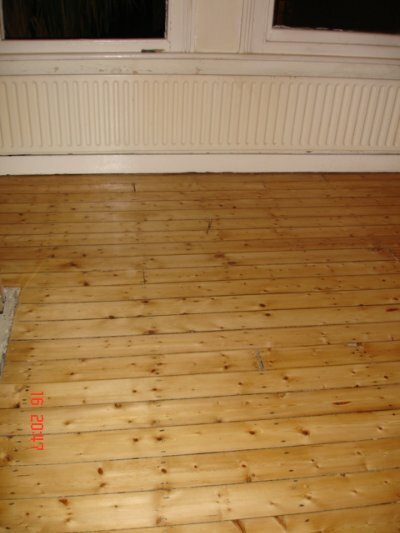 Original boards were saved by sanding and 3 coats of seal. 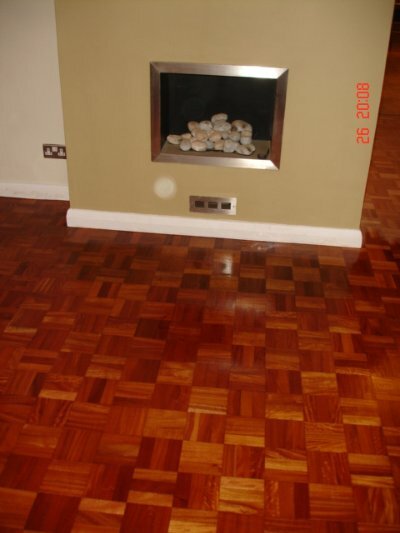 Parquet floor was sanded, dark stained and finished with Satin varnish. 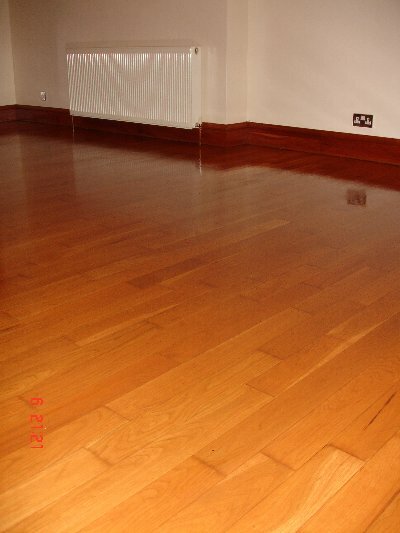 Lovely pine floor restored, sanded, dark oak stained and then finished with 3 coats of polyurethane lacquer. 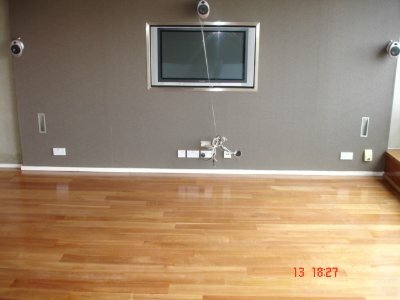 Original cherry floor was repaired, sanded and finished with 2 coats of Osmo Polix Oil - Satin Finish. 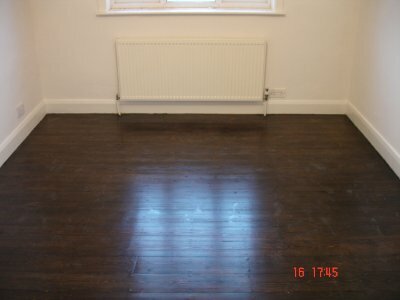 Original floor was sanded,gap filled, buffed and finished with 3 coats of Bona Mega Satin . 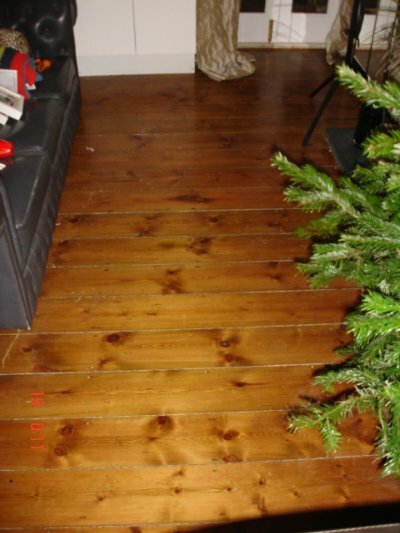 Original pine floor was sanded, stained and finished with 3 coats of Satin water-based finish. 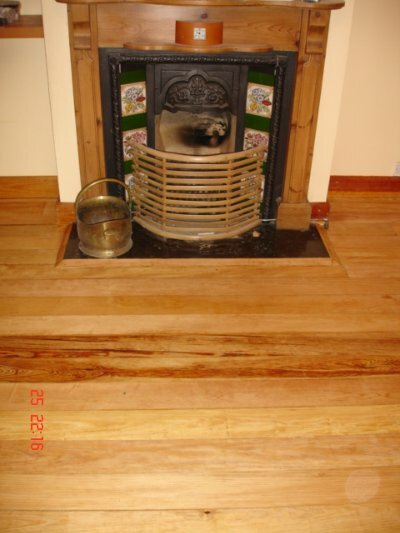 Original Pine floor was repaired, sanded, gap filled and finished with 2 coats of Osmo Polix Oil - Satin Finish. 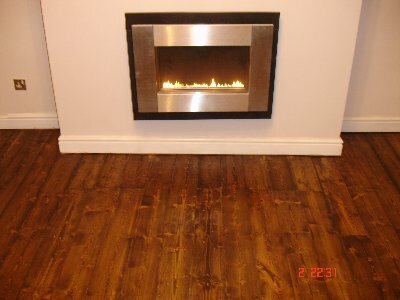 Badly Damaged pine floor board was Repaired, Sanded Gap filled , Stained with Dark Oak and finished with 3 Coats of Bona Mega-Satin. 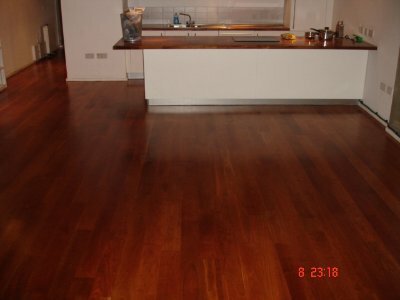 Walnut floor was sanded, buffed and finished with 3 coats of Bona Mega Gloss. 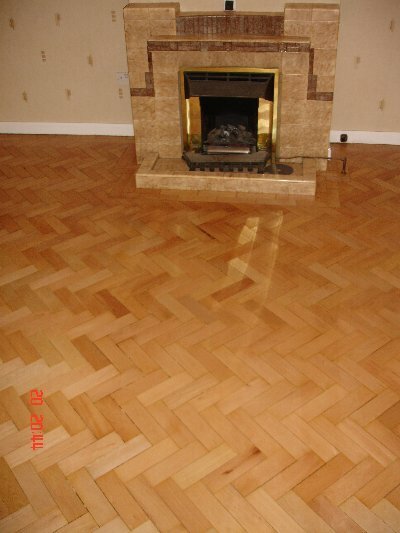 Finger Pattern Parquet was sanded, buffed and oiled with 2 coats of Osmo Polix Oil. 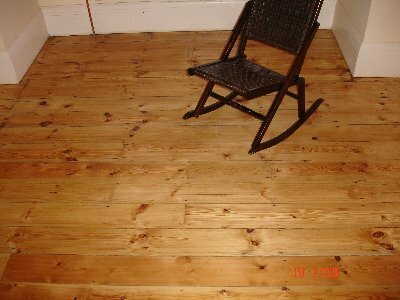 Original Pine floor was repaired, sanded gap filled and finished with 2 coats of Osmo Polix Oil - Satin Finish. 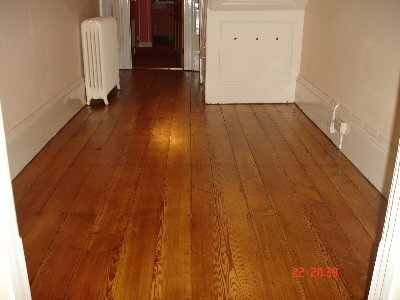 Original pine floor was sanded,stained ans sealed with 3 coats of Bona Mega Satin Finish. 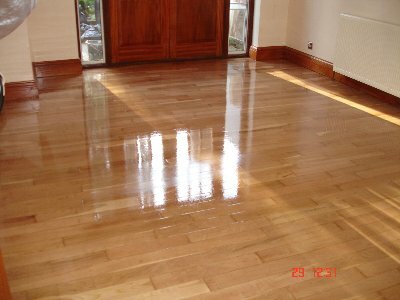 Cherry floor was sanded and sealed with clear satin waterbased finish. 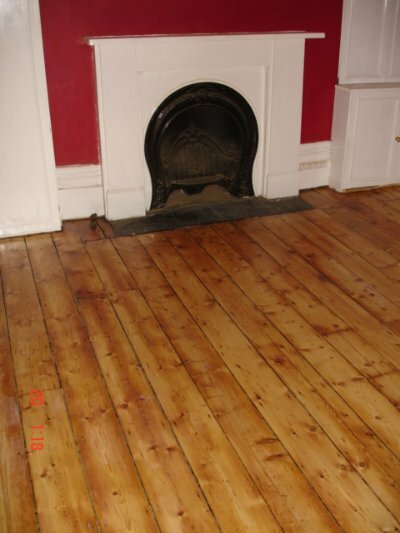 This original pine floor was repaired, then sanded and then sealed with coat of prime and 2 coats Osmo Polix Oil. New cherry floor was sanded and stained with cherry stain by Osmo.Then sealed with 2 coats of Osmo Polix Oil. 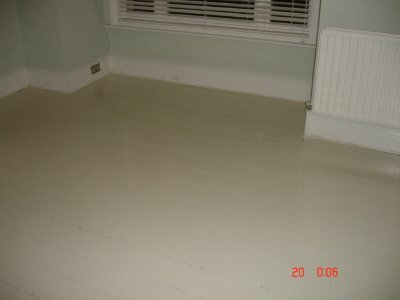 Badly damaged pine floor was Sanded and Varnished with coat of prime and white paint by Farrow & Ball . 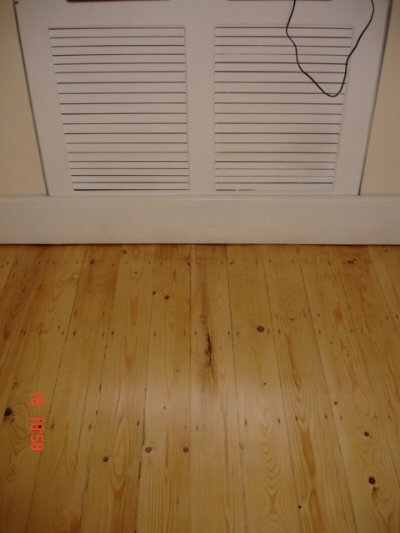 Original pine floor. Repaired, Sanded, Stained and sealed with satin waterbased finish. Original Pine Floor,Sanded and Sealed with Mega Satin lacquer New Walnut Floor, Sanded and Sealed with Osmo Polix Oil - Matt Finish. Old pine,sanded and sealed with water based varnish. Parquet floor, repaired, sanded and sealed with 3 coats of Bona Mega-Satin. 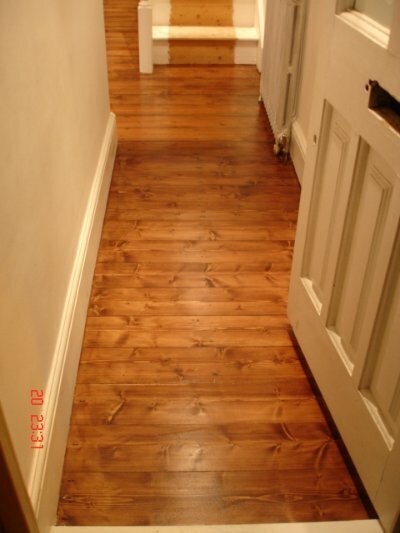 Our floor sanding company covers all London areas within M25.